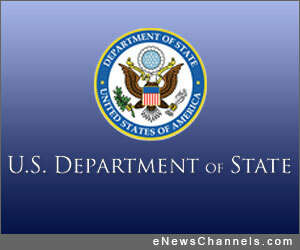 WASHINGTON, D.C. /eNewsChannels/ — The U.S. Department of State will host a Youth TechCamp in collaboration with Pasifika Nexus and the BrightPath Foundation at the University of South Pacific in Suva, Fiji from November 20-21 and November 26-30, 2012. The first-ever Youth TechCamp in the Pacific, Youth TechCamp Fiji will provide six full days of training for up to 300 young people from throughout the Pacific Islands. Youth TechCamp Fiji will work with top local and international technology experts specializing in digital content creation, mobile applications, and social activism. Youth TechCamp Fiji will enable these future leaders from the Pacific Islands to contribute to policy development, spur local content creation, and leverage connection technologies to make a positive impact in their communities and around the world. Youth TechCamp Fiji supports Secretary Clinton’s vision of 21st Century Statecraft by encouraging young people to engage and contribute to the digital networks and technologies of today’s interconnected world. Collaborators supporting this event include State’s Bureau of East Asian and Pacific Affairs (EAP), State’s Bureau of Educational and Cultural Affairs (ECA), U.S. Embassy Suva, BrightPath Foundation and PasifikaNEXUS. A signature series hosted by the State Department to increase digital literacy, Youth TechCamp Fiji will engage Pacific youth, students, and young professionals. Join the conversation on Youth TechCamp Fiji on Facebook and Twitter using the hashtag #TechCamp. To register for the event, please click here: .